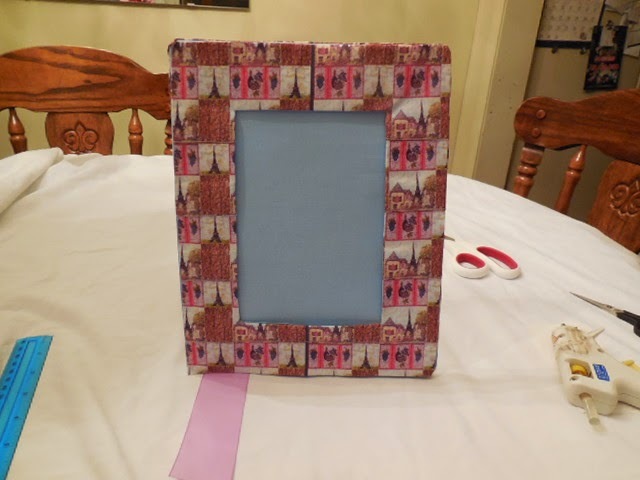 So, you always wanted to make or have fabric photo frames, BUT, the ones on the market (in case you haven’t visited my site at http://fabricatedframes.com, my little remote corner on the internet, showing you washable, fabric photo frames and their sewing pattern downloads) – they weren’t washable! Or, you wanted to make them yourself, BUT, you don’t know how to sew! Well, I’m here to help! 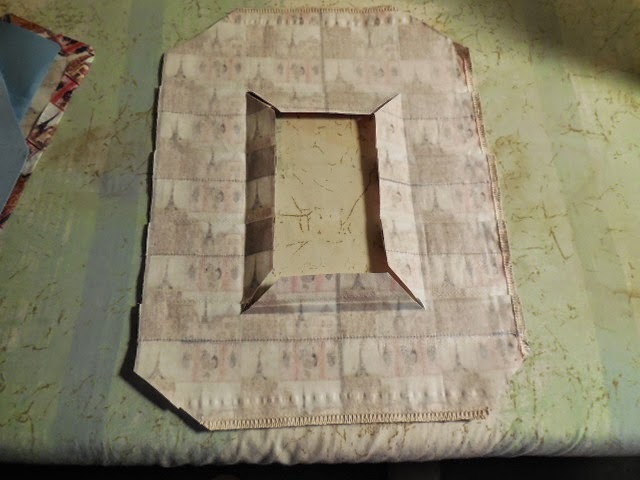 I created / invented the washable, NO SEW, fabric picture frame, for 6 sizes. 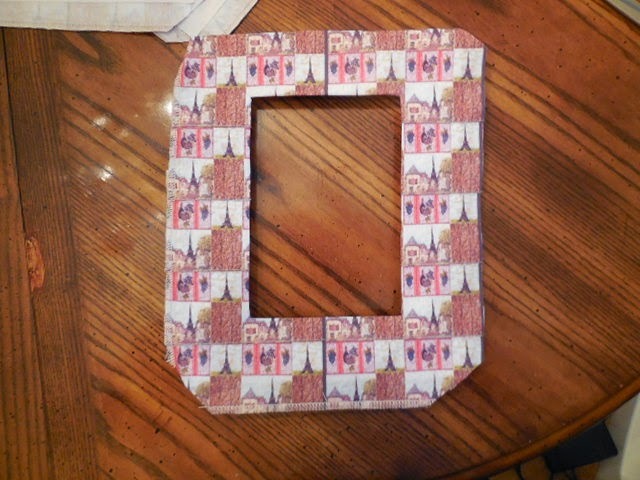 I’ve been making fabric photo frames for 15 years, I’ve had trials along the way, but this year, in honor of National Craft Month, I finally came up with a way to make them, so that YOU can make them! 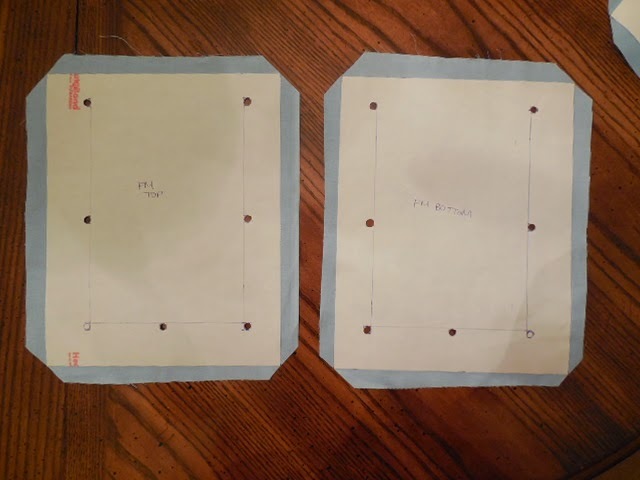 two for 5×7″, 6 3/4″ x 8 3/4″ oa., and 8×10″ oa. 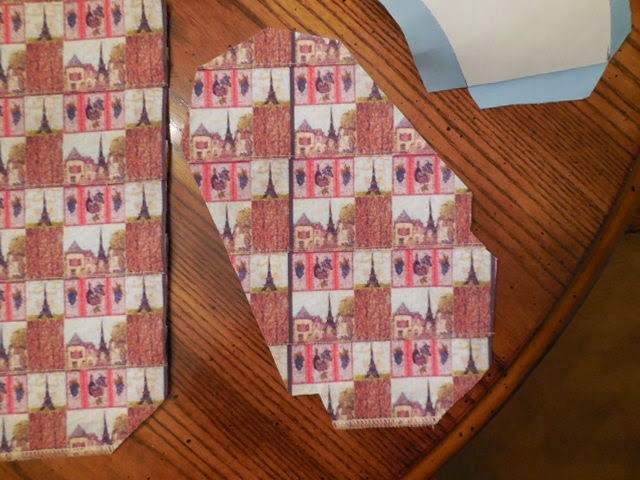 In the video and the photos, you will see me using the new fabric available to buy at Zazzle.com/fabric – in combed cotton fat quarter size for $11.95 – I had my Paris Eiffel Tower inspired pointillism art repeat pattern at http://www.zazzle.com/paris_eiffel_tower_inspired_pointillism_fabric_2-256525211195273443 – the fabrics available are pima cotton, polyester, linen, 7 fibers, from $6 9×9″ swatches, fat quarters, and by the yard. They offer larger than normal widths, starting at 54″ wide, 56″ wide, 58″ wide, and 60″ wide, depending on fiber. I’ve been using various fibers for the past month from them, and I’m telling you, they are worth the money! Plus, they have sales at Zazzle, promocodes, so check out my Facebook and http://twitter.com/fabricframes tweets for daily savings announcements! 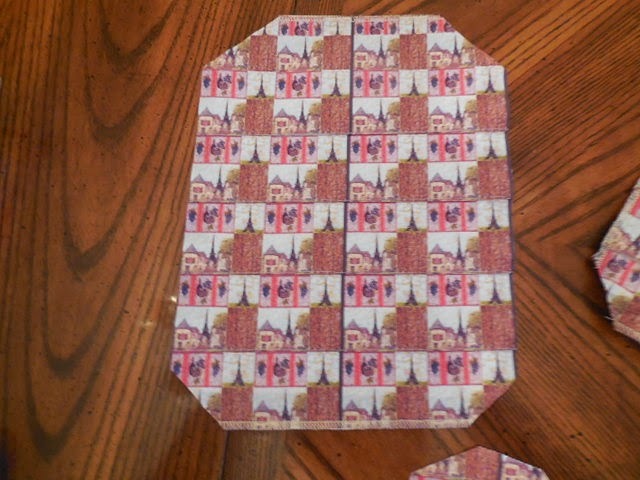 All you need for the frame for the 5×7″ photo, that will measure 8×10″ when finished, is a fat quarter of not too large a patterned fabric, this is from Zazzle, shown, with my art in repeat. 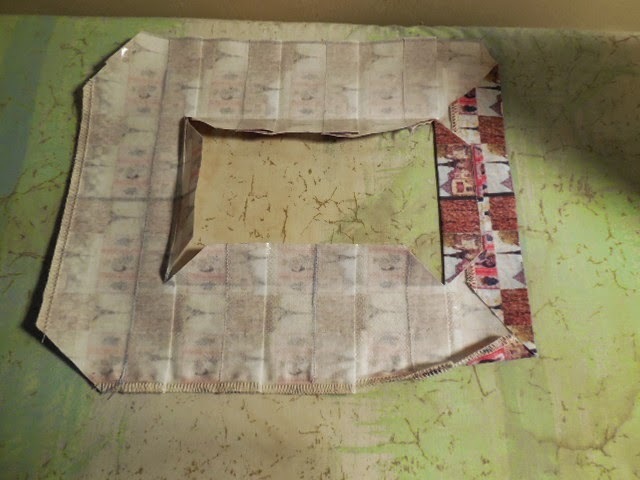 A fat quarter is enough for the: front panel, I call it the FRONT frame front border, with the picture window, or photo area in the center, the facing out easel back panel, and the front strut leg panel for the strut leg pocket, The other 7 fabric panels can be an inconspicuous solid color, 1/2 yard, something that blends in, that recedes. I used a light sky blue solid for the other 7 panels. This allows for your print design to stand out. Thermoweb Heat n Bond Ultrahold (or Heat n Bond Lite or Featherlite – any will do) – Ultrahold is acid free, perfect for photo frames- the others are not – it is an iron on, paper backed fabric adhesive, fusible web, that gets ironed to the back of the fabric panel patterns. 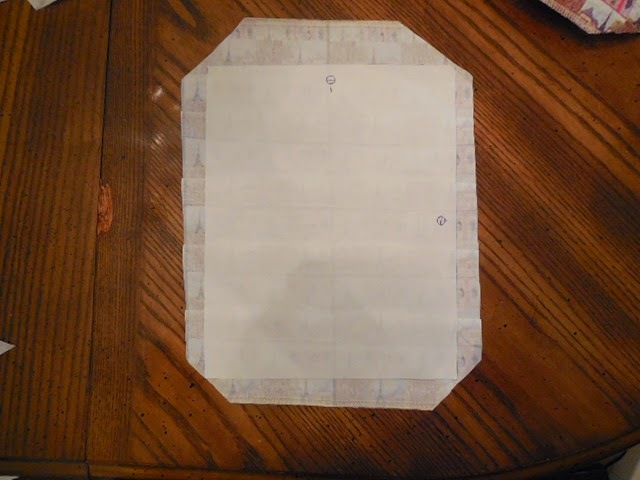 You can cut a piece large enough to cover the seam allowance AND main panel part pattern, follow the directions below, to make and transfer those patterns. This supply is KEY. 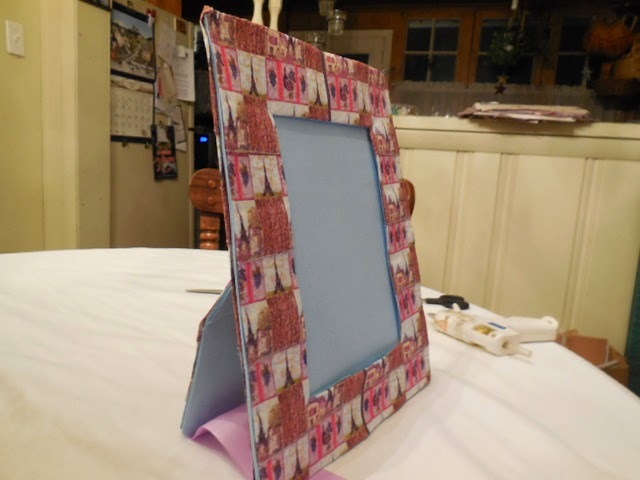 It gives structure to the frame, and allows the frame to stand – buy a 17″ wide by 5 yard roll fr $8.99 at Michaels or michaels.com but use a store coupon or sale, to save money, I get mine for as low as $4.49! 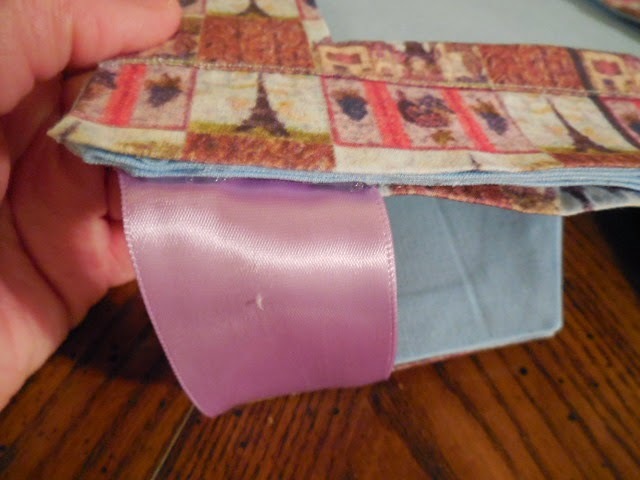 1 1/2″ wide by 9″ long ribbon – this connects the strut leg pocket, between it’s 2 layered front panels, and the 2 layers of easel back panels, the bottom right corners of them, to make the strut leg pocket pitch out, allowing for the frame to stand on a table or shelf. 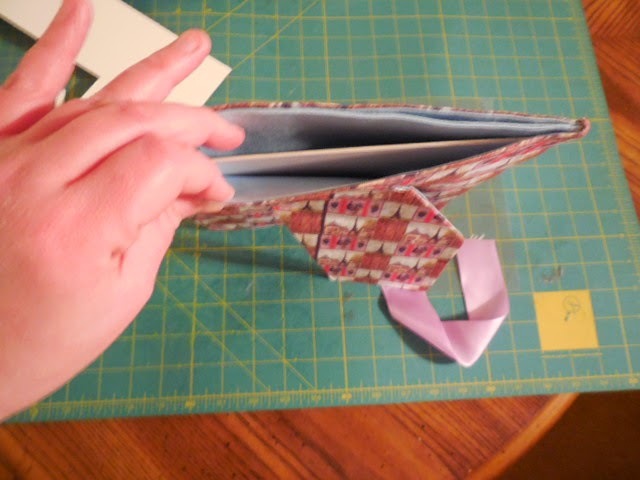 PRACTICALLY EVERYTHING CAN BE BOUGHT IN AN ART SUPPLY, FABRIC, QUILT, OR CRAFT STORE! It’s insanely wonderful! 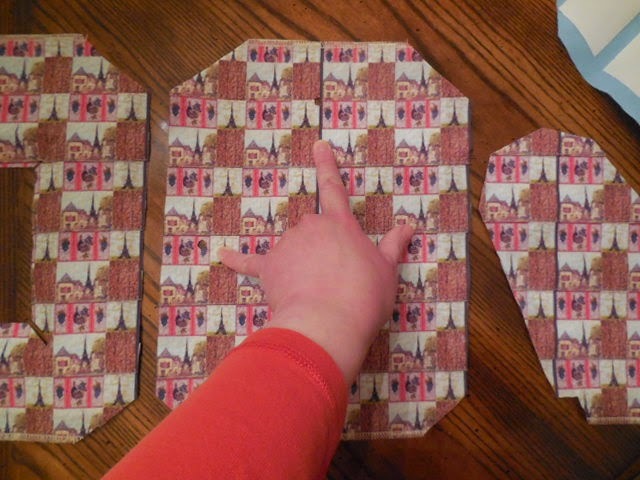 Here are the 3 Ultrahold Heat n Bond patterns, placed over the Paris / Eiffel Tower inspired repeat pattern fat quarter print Zazzle fabric – figuring out the layout, what shows on the main part of the finished pattern panel, where the seam allowances are – placement of the panel – remember, you have to gauge where the pattern lays, so that it is centered horizontally and vertically, AND make sure that print fabric front strut leg panel’s pattern is aligned with the bottom right design of the facing out print easel back fabric panel. This is tricky. 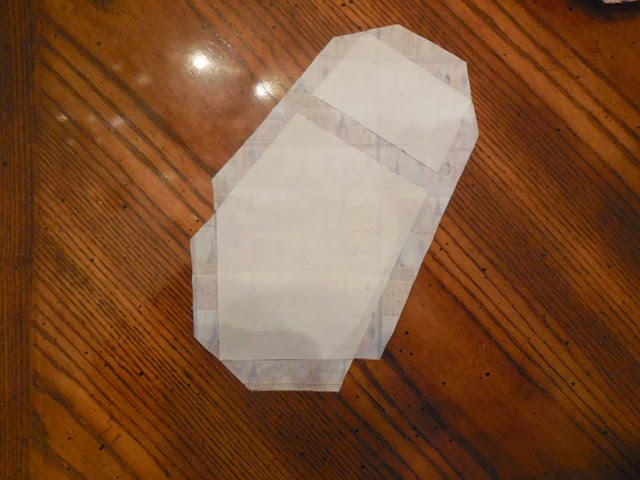 My tip would be to take the clear sheet protector pages, and use them to trace over the Ultrahold Heat n Bond patterns that you created / transferred from your print outs from the download, INCLUDING seam allowances, if possible. 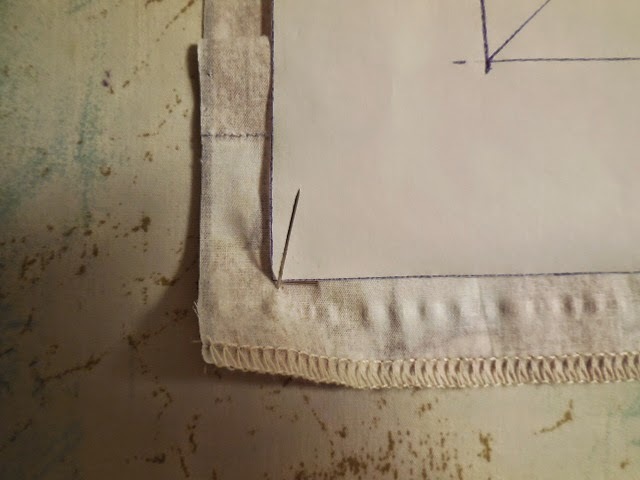 So trace over the main panel, and add a seam allowance. Do this for all 10 panels, 6 rectangle panels and 4 strut leg panels. 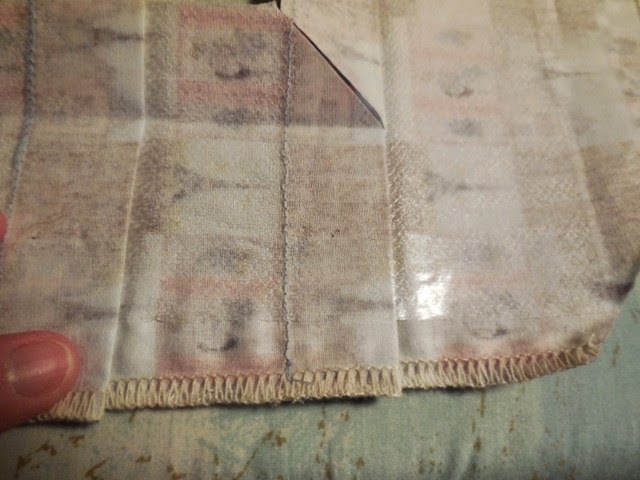 Take the clear plastic patterns, and lay them over the fabric, again, making sure the design is centered vertically and horizontally, in a pleasing manner to your eye. 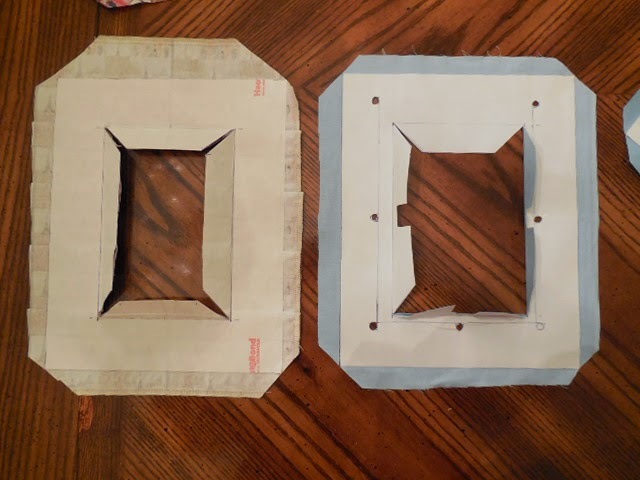 Plus make sure that the right bottom corner of both the easel back and strut leg pattern, with bottom, 90 degree right angle in the bottom right corner, are aligned, design wise, eyeball it best you can. 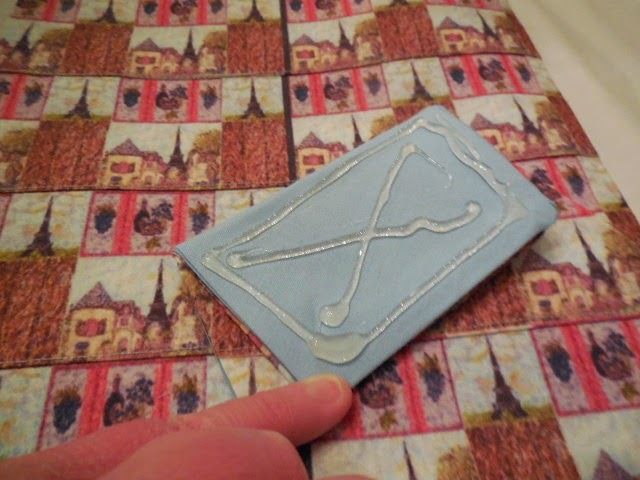 For the 3 fabric print design panels, front frame front border, easel back panel, and front strut leg, place & push pins on both sides of all corners of each clear pattern (Thermoweb pattern is showing) – see how the pins are perpendicular to each other at both sides of the corner of the pattern panels. 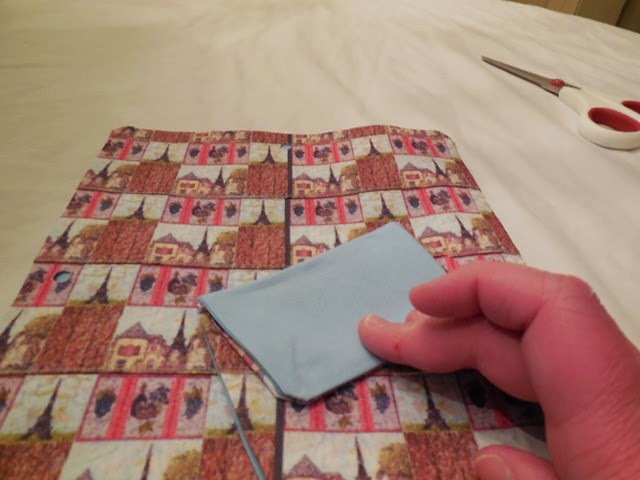 Then, push a third pin through both pins, for all corners, pushed all the way through on the back, turn over your fabric to the back, and lay your Ultrahold patterns within the straight pin boundaries that you placed. This helps keep everything even and the way you want them. 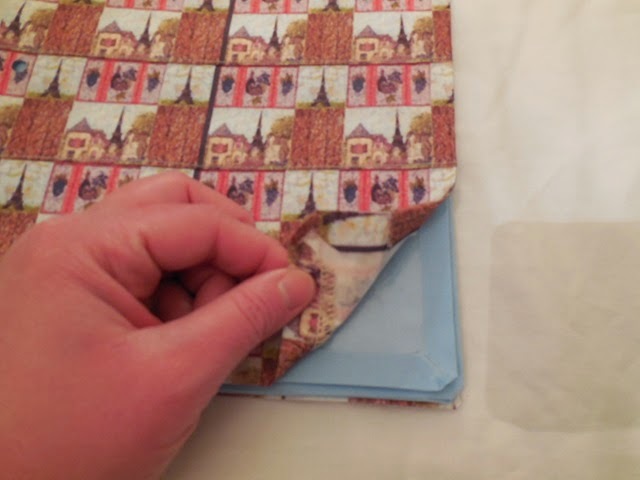 also, and this is to help you, it is just a tip, I found that if I cut away a notch on the seam allowances, around the holes, this keeps excess fabric from pushing through the holes, while you are trying to thread the skinny ribbon through. 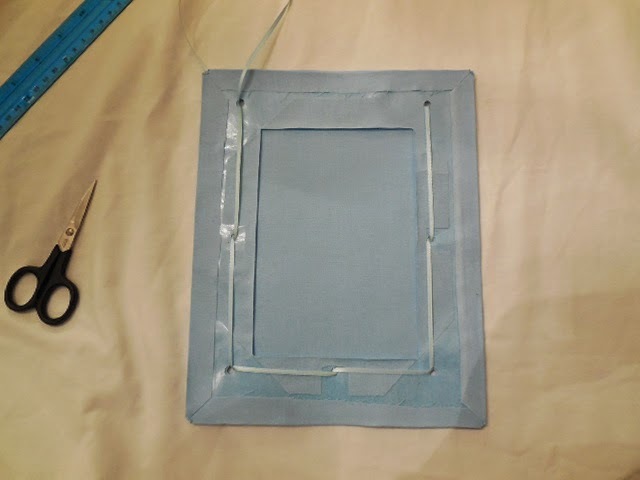 I find I do this more so for the inside seam allowances of the picture window on the 2nd inside frame front border, than the outside seam allowances, but some narrow frame front borders, especially on the smaller frames, you will have to cut more notchings. 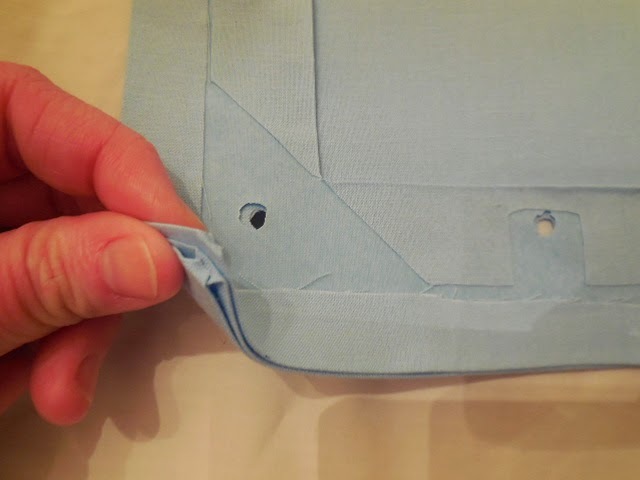 Just cut in but not to the edge, on either side of the hole on the seam allowance, then across to make a “square” like notch – don’t cut all the way to the edge though. 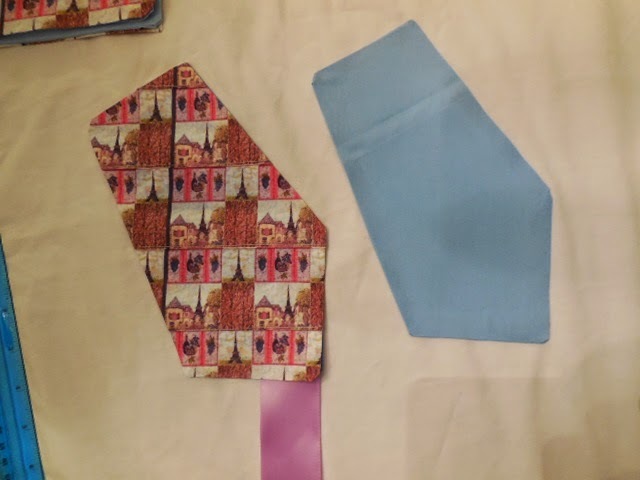 Here are the 4 strut leg fabric panels with Ultrahold ironed down, and the slice of take away Thermoweb between the top and bottom panels removed before ironing down. 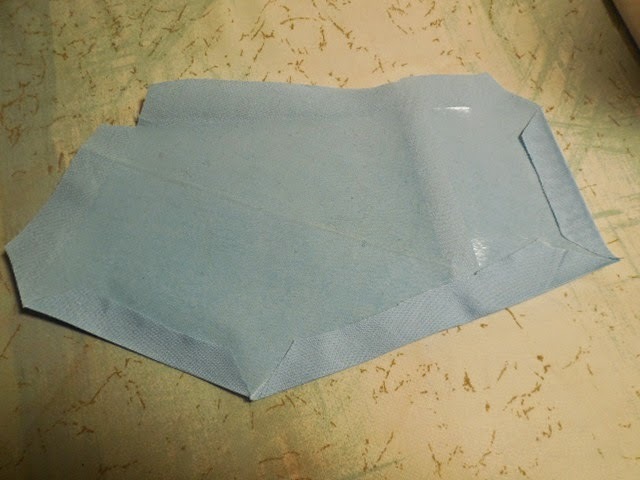 You will see the top and bottom are shiny because of the “glue” the fabric adhesive of the Ultrahold Heat n Bond, and the middle part, where the bend will be is just bare fabric, no Thermoweb is ironed to it. 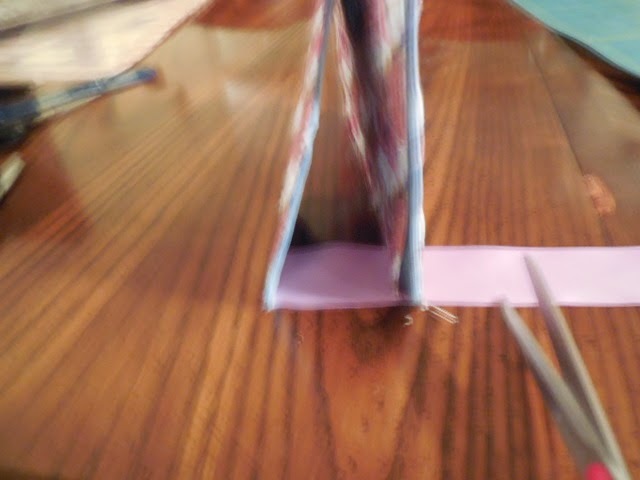 This helps the 4 complete strut leg panels bend, so that the strut leg pocket can pitch out, and allow for the frame to stand upright. 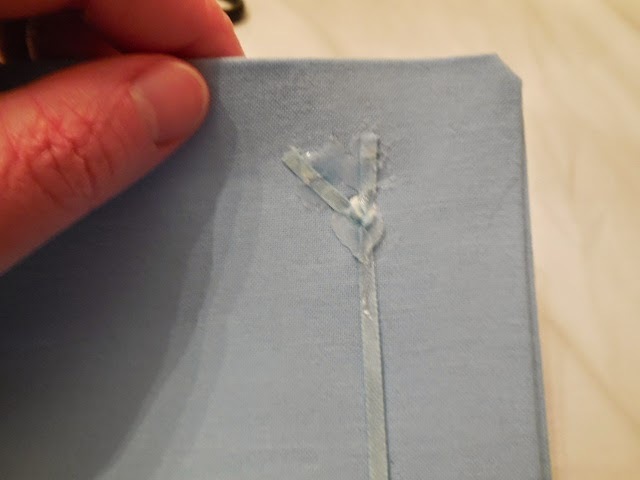 After you’ve ironed down your seam allowances, if your inner and outer corners look like they are fraying, just use the tiniest bit of glue from your hot glue gun and the nozzle to “nudge” the frays to the back of the panel. 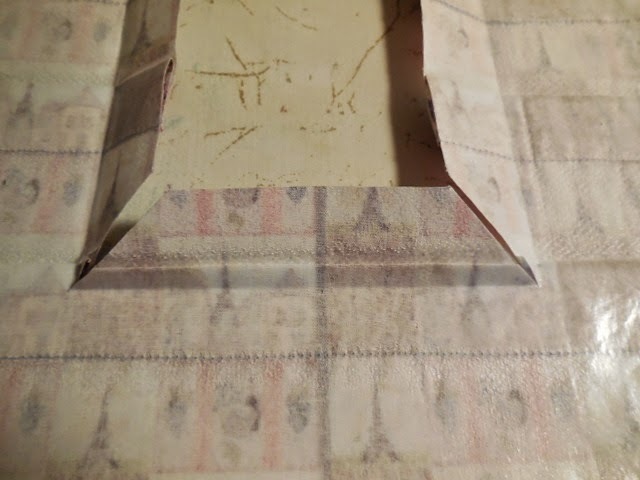 I sometimes dab a bit of glue, from the front side, at each corner, and push the glue from front to the back, to “finish” the corners – it is the professional way to make them look, plus they won’t fray, when washed. 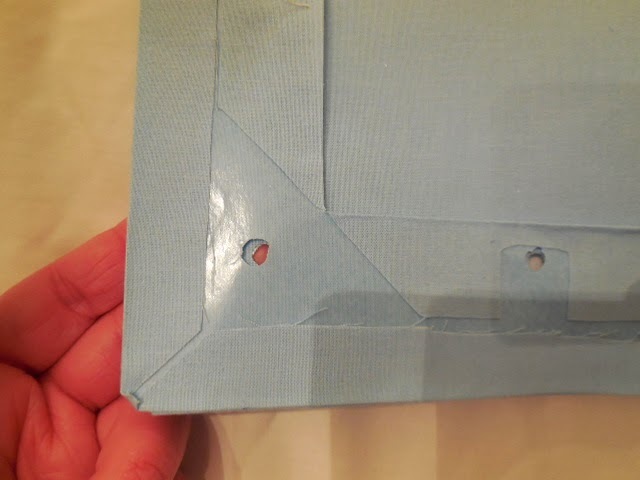 A lot of manufacturers don’t do that with their fabric picture frames, they’ll just cut into the corners, and not cleanly, some look like they would tear if you touch them. I “finish” my inner corners, as an added value. First, and you will see in photos below, find your front, print design, strut leg panel, and place that on top of the corresponding, opposite direction strut, labeled strut leg panel 2 in the download, before ironing them together, and gluing down their outer edges, take the wider, 1 1/2″ wide ribbon, and place the one end inside at the bottom right as shown, with at least 1″ inside. 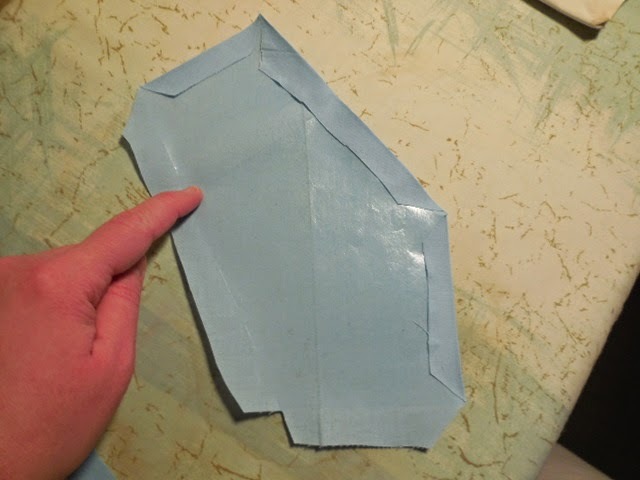 Iron the panels together, glue the outer edges close to the edge on the inside. This makes your finished strut leg front facing out panel. 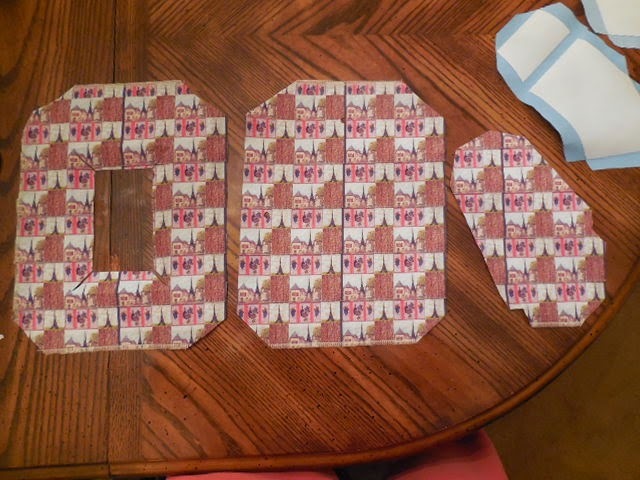 Making sure that both holes, vertically and horizontally placed, and centered at the top and side, are cut out, the panels are aligned, holes match up – if your inside facing easel back is peaking through the hole on the print side facing out easel back, just cut into the hole, and cut away excess fabric peaking through the hole, as neatly as possible. 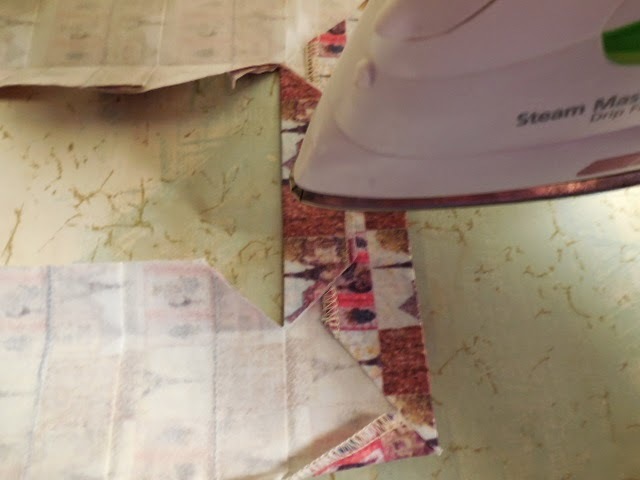 Iron the panels together, glue sides inside, fabric print facing out – EXCEPT for the bottom right corner of the print side facing out, leave that un-ironed about 2″ x 2″ from the corner. 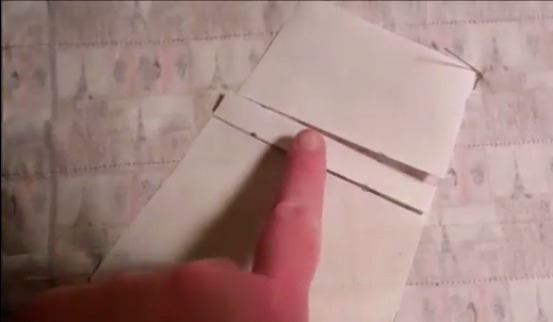 You will place the other end of the wide ribbon here, gluing inside on either side of the ribbon, best you can. For now, just iron the panels leaving that corner un-ironed. 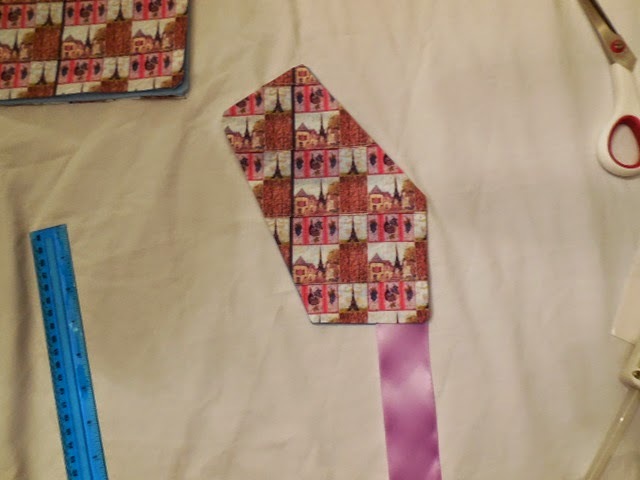 Below, you will place the strut leg pocket, with dangling ribbon end hanging down, on top of the joined easel back panels, aligning the print design, so the patterns match as best as possible. 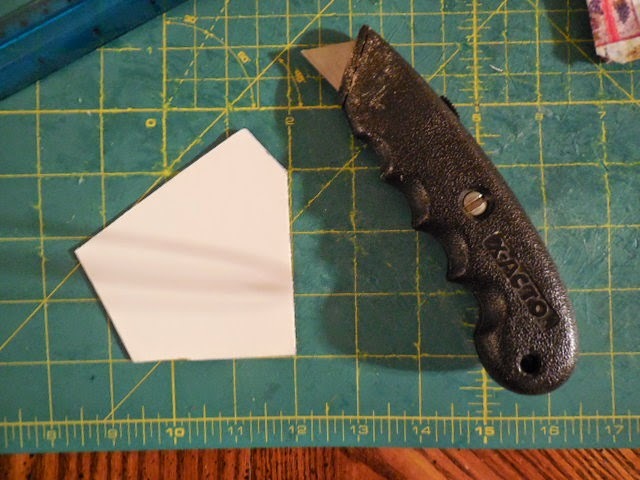 Play with it a bit, so that the design matches, use straight pins or clothes pins to hold the bottom right corner in place, fold back the top portion of the strut leg pocket, and make a hot glue “box”, with an X, if time allows (and no breeze), and press the top in place, as best aligned to the print as possible. WHEW! lol It had me nervous. So, be clear minded, and calm when doing this part. 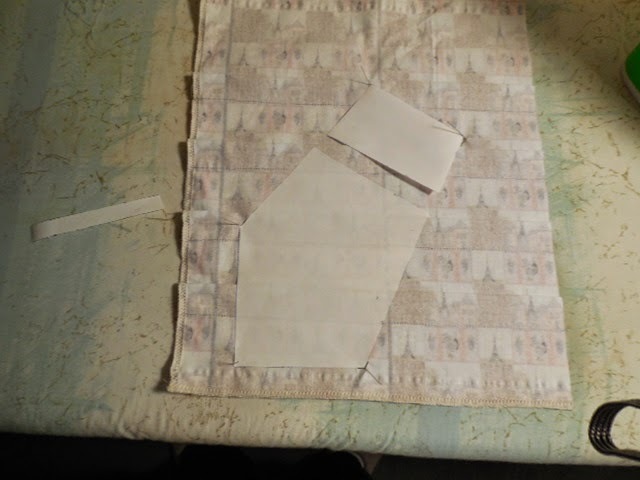 Now, you will stand the frame up, strut leg pocket pitched out, and push the ribbon under the frame and out to the front. 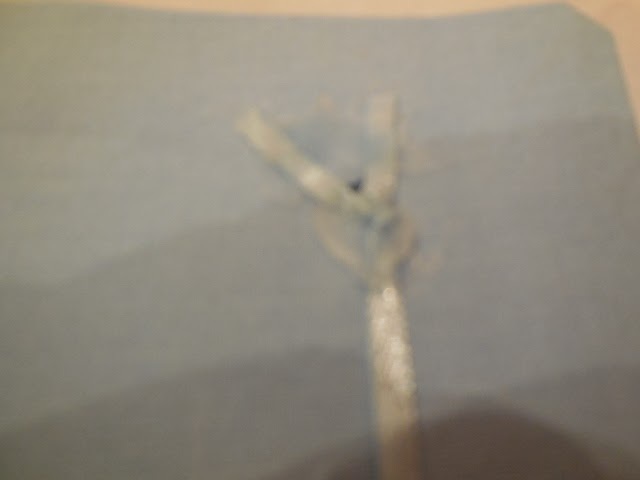 To determine the pitch, play with the strut leg pocket so that it stands alone without any help. 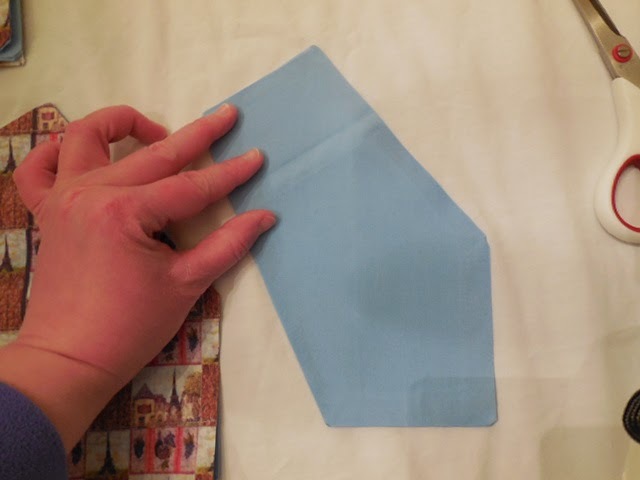 This is why the Thermoweb Heat n Bond Ultrahold is SO important, because this fabric adhesive “substrate” acts like an invisible structure, that helps keep the panels straight, aligned, crisp, and strong. That may sound corny, but I’ve used Ultrahold for 15 years, and it really, really helps keep the frame’s structure and rigidity! 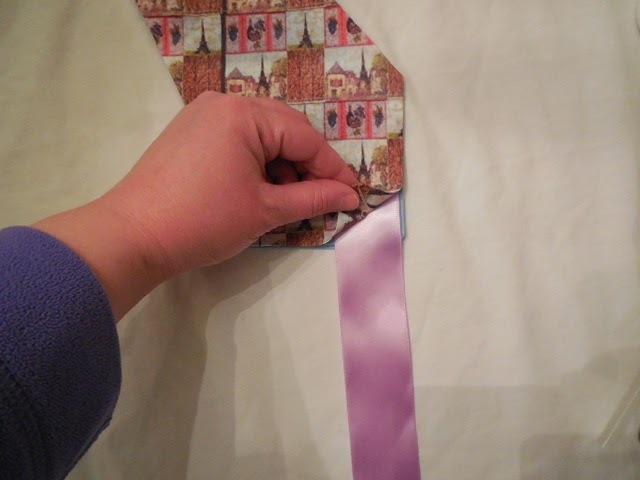 Ok, so use straight pins, on either side of where the ribbon is situated under the frame – this helps you determine how far to tuck in the ribbon between the 2 easel back panels- that outer pin butted against the frame front border is your guide, it is the spot of placement for where the ribbon butts up against the bottom edge. 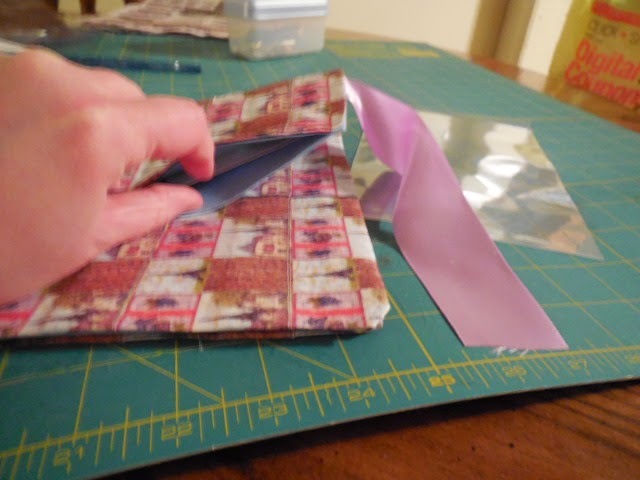 Cut away the excess ribbon, about 1-2″ from the outer straight pin against the frame front border, and tuck it inside, making sure that it doesn’t pop out on the side. 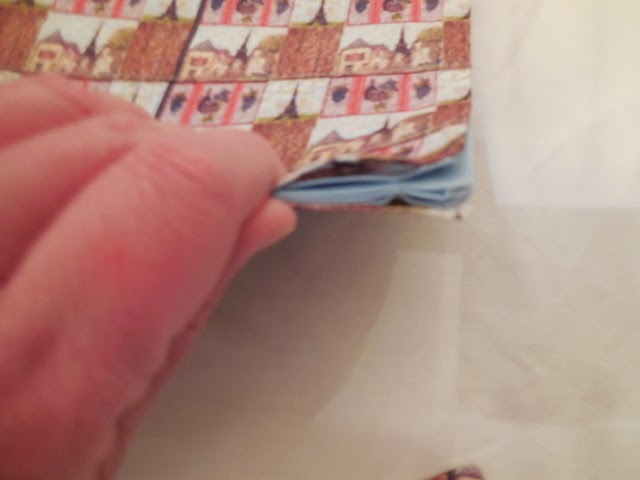 Glue the opening shut, best you can, calmly, trying to not allow for too much glue to seep out. Stand your frame up. 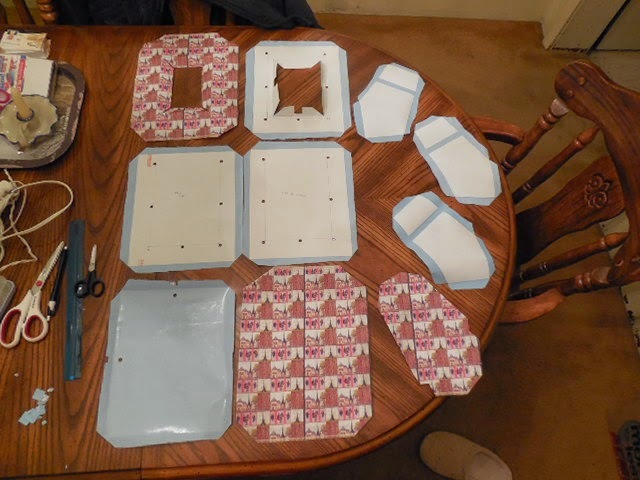 Now, I’m off to making the pattern downloads, collating the patterns to make them printer friendly for you. 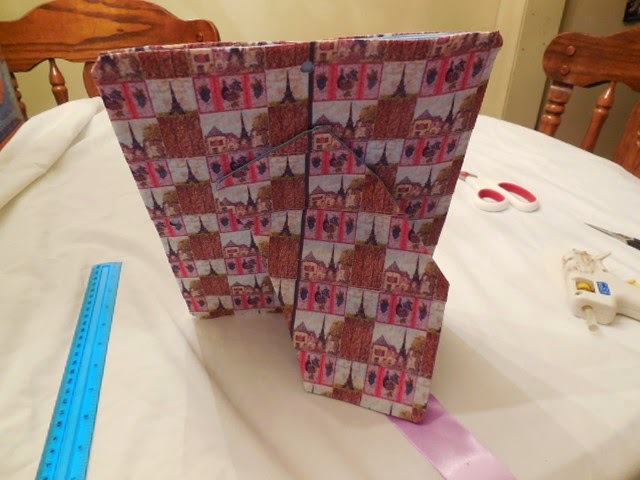 In the meantime, I have the patterns laid out ON Zazzle fabric, at http://zazzle.com/fabricatedframes/fabric – just scroll down to find the photo frame craft yard and fat quarter panels. I have different colors. 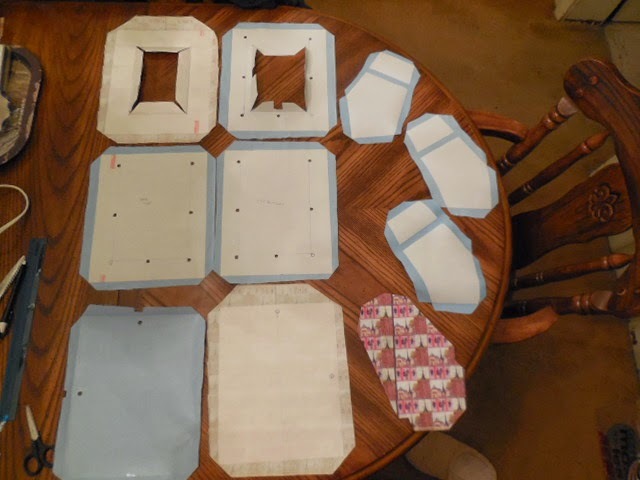 Make sure that you find the pattern panels labeled “sewing pattern” versus “no sew pattern” – they will be labeled in their titles. I have black, gray, and few other popular, trendy colors available, and I am adding more solid colors, AND art patterned prints, as I go, so be on the look out for those. 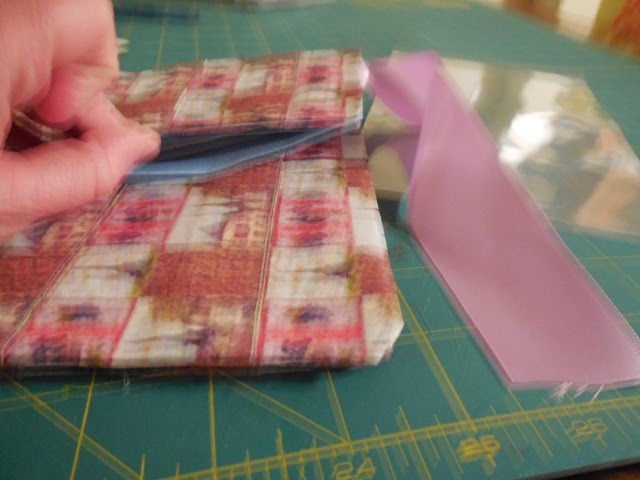 The Fat quarters, starting at $11.95 for combed cotton, have all 10 panel patterns to make a frame for a 4×6″ photo. 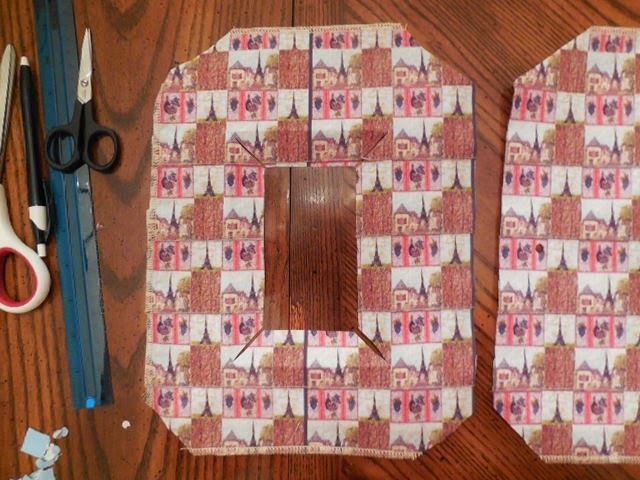 I am making a fat quarter size for the 2 smallest frame panel patterns to be on there. Basically, I’m trying to maximize space usage, yet give the most bang for your buck,. 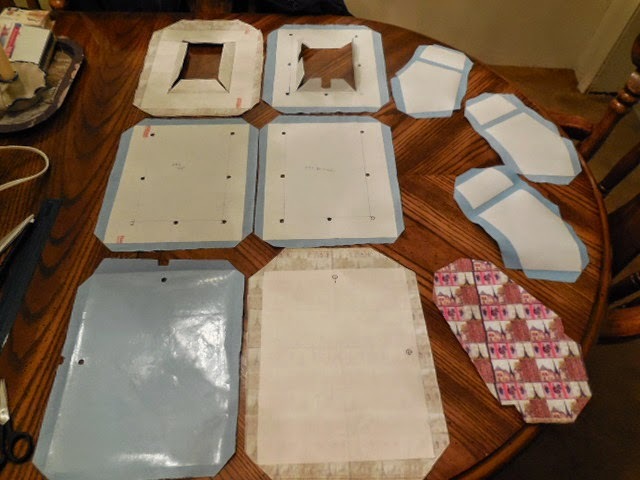 I have panels with 3 sizes on a yard, to make a frame for an 8×10″, 1 1/2″ x 2 1/2″ photo (convertible from tabletop tiny frame, to frame brooch pin with a removable strut leg pocket, attached by hook and loop velcro at the top of the strut leg pocket and bottom right), and wallet sized, 2 1/2″ x 3 1/2″, perfect for favors, place card frames, for weddings, showers, events, and promos! 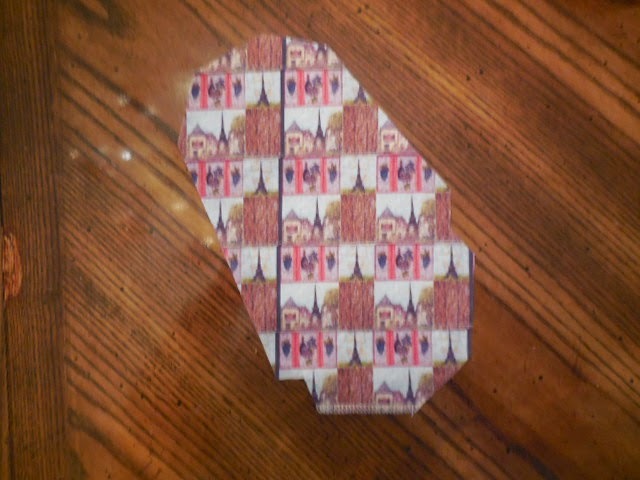 I have the both sizes, 2 sizes, for the 5×7″ size photo on yard. 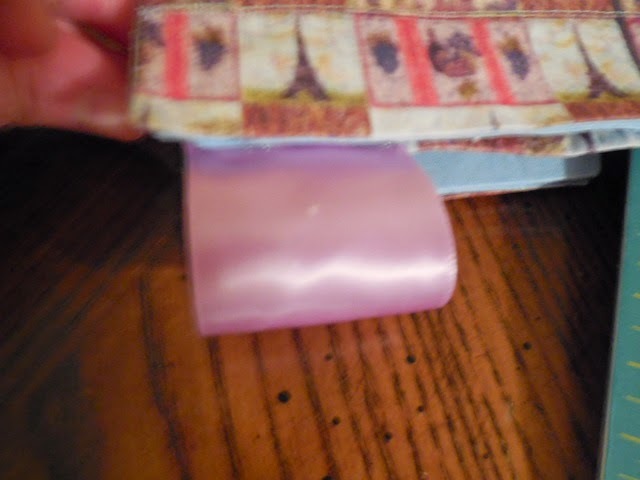 I figured that, by the time you buy the extra supplies and tools, listed here, too, that you would spend that amount anyway, if you do cost of goods analysis, plus these are custom, some with custom art printed, so you really are getting a lot for your money, and Zazzle fabric is top quality, I loved working with it. 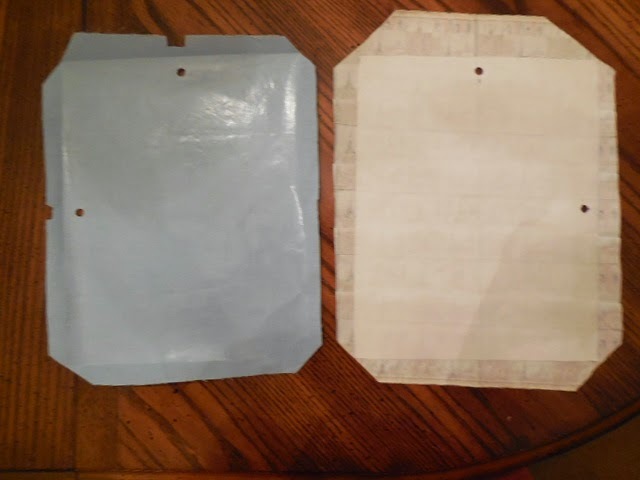 On top of that, the ink used is pigment based, so it’s acid free, the natural fabrics are almost acid free, cotton, and linen, not completely acid free, but these factors do help, when dealing with photos being near them, plus the acid free labeled sheet protectors help. 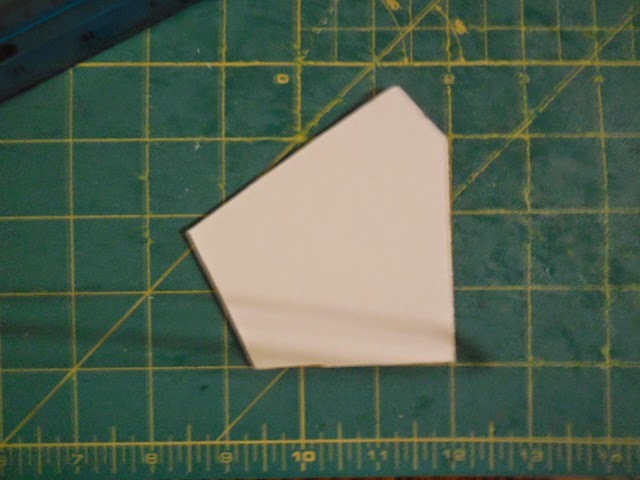 You can use 2mm thick UV glass from AC Moore’s framing section, or Michaels, or frame shops cut to the size of the photo. 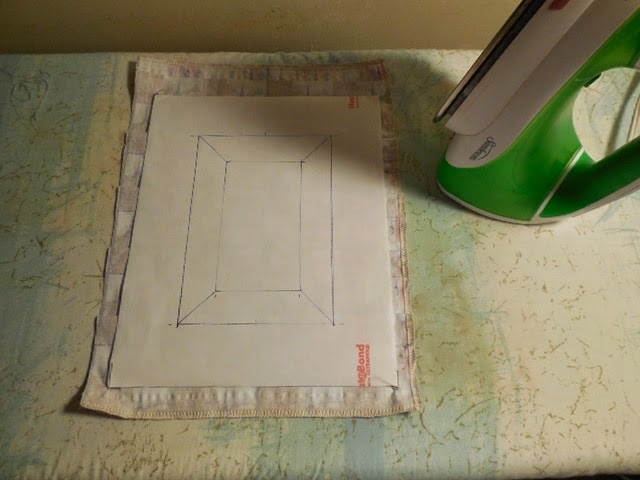 The supplies & tools are listed ON the Zazzle project fabric that I have made, all lines for cutting away corners are marked, some instruction text is printed on the seam allowances, holes are marked, with a line to guide you – this is so that you have as much as possible, with little guess work. I try to give my all. I’m not the type of person who skirts by, does bare minimum, to collect a paycheck. I have too much integrity, and I don’t want to dismiss or undermine my customers. 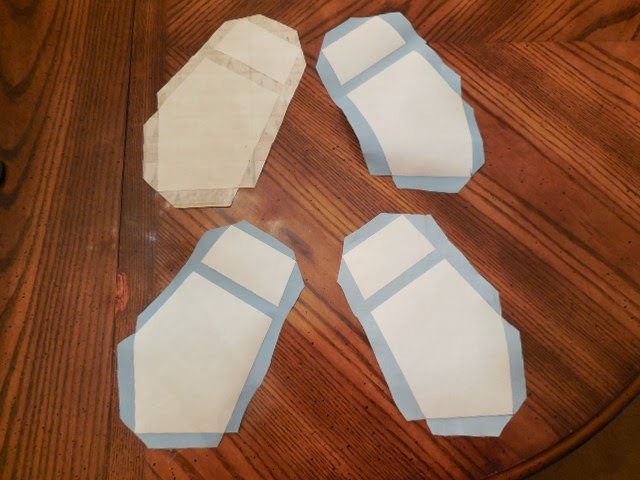 So, if you have questions, or tips, PLEASE, let me know, so I can make the best pattern tutorials and downloads as possible. Objective criticism, please. lol 😀 Thank you all! And PLEASE, have fun with this project! That’s why we do this, to go a little further than yesterday, but enjoy ourselves, while doing it!